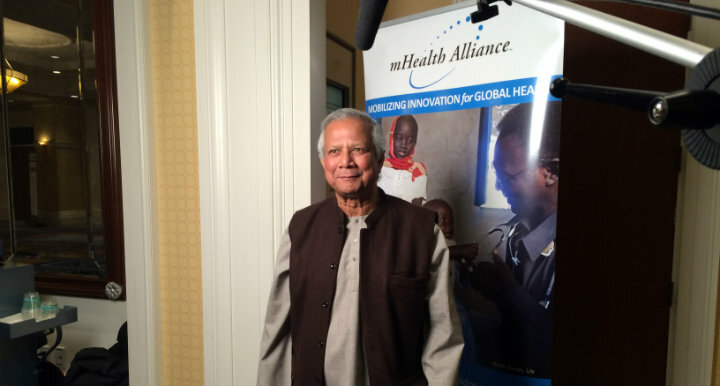 Last week, 2006 Nobel Peace Prize winner, Muhammad Yunus, stopped by our booth for a quick interview on mHealth at the 2013 mHealth Summit. As the founder of the Grameen Movement, he shared his thoughts with us on the relationship between mHealth and “social business”, private enterprise focused on solving human problems. Check out why Muhummad Yunus sees mobile phones as the “Aladdin’s Lamp for health care” here.